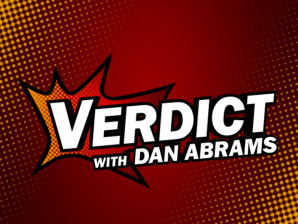 Host, "Verdict with Dan Abrams"
For the past six months, we have been assessing exactly what this show should be. Political? Legal? What about pop culture? “Verdict” will examine all of the most controversial stories of the day through the eyes of a critical lawyer. What will make the show unique is not as much which stories we cover, but how we cover them. I will be sure to let you know where I stand, back it up with facts and then make judgments on a wide range of stories. Knowing my "take," ensures there is no hidden agenda, then you can decide whether you agree. This is going to be a high-energy show that separates facts from talking points, reasoned opinion from agenda driven blather. Too many programs on other networks, just invite two people on to "debate" some issue and leave viewers with little more than each side's talking points. I will try to use my legal background to assess right from wrong and ultimately announce the day's winners and losers. A good example is our regular "On Their Trail" political segment where we compare the candidates' accusations and statements. Rather than simply have people discuss or debate the latest political spat with no resolution, we check the facts, assess the accusations and by the end of the segment we declare a loser – the candidate who, on that day, is "guiltier" of more misstatements, cheap shots, and blunders. My stint as General Manager of MSNBC made me particularly sensitive to how the big stories are covered. So as a lawyer, and Washington outsider, I will continue to lead the charge against the media if a story is not being covered fairly. We are excited about our regular segments which will include: "Why America Hates Washington," "Beat The Press," "Winners and Losers," and our email segment called "The PO'd Box" which will include many emails from people who strongly disagree with me. As you can see below, even the look of the show is different from anything else in the TV news business today. We won't just cover the biggest national stories and debates of the day, we render a "verdict."